The My Counting Buddy system is a multi-sensory approach that will engage children and help them develop skills for lifelong mathematical thinking. 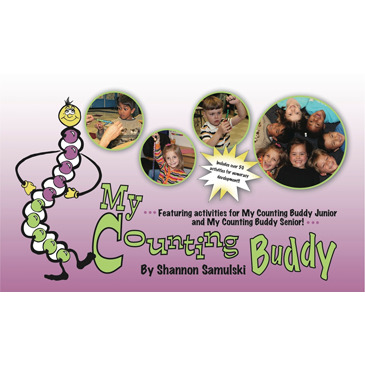 The My Counting Buddy book explains how the system will help young children develop crucial foundational skills such as one-to-one correspondence, recognizing number groups without counting (subitizing), adding and subtracting, understanding missing parts, and more. Available for free with purchase of Class Set of My Counting Buddies!